Get the family reunion started early! 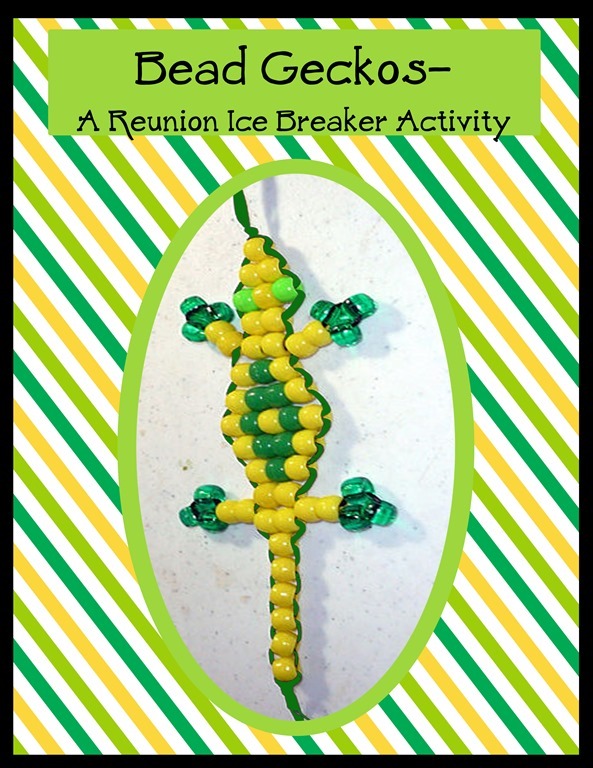 If you’re looking for a fun ice breaker activity and a way to generate interest in your upcoming family reunion try “Reunion Buddies” and get the party started before the reunion even begins. 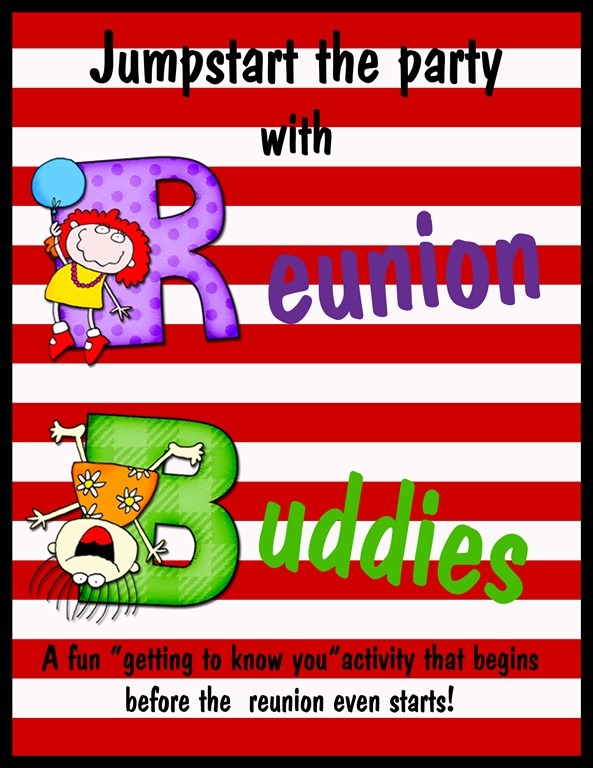 About four weeks before your reunion make a double sided copy of the “Reunion Buddies” printable using the same information on each side of the paper. Match family members up into buddies making sure everyone, young and old has a reunion buddy. Write one buddies name on the line that says “My Name Is” and write their buddies’ name below it on the line that says “My Buddy Is”. You will need to do this on both sides of the paper but reversing the information. Send a copy of the reunion buddies printable to one of the “buddies” with the instructions to fill out their personal information and then mail the completed form to their buddy. Be sure and provide an address and if your reunion has the funds, a stamped envelope. The buddy they mail the form to will complete the form and return it to back to their buddy. Encourage buddies to spend some time with each other at your family reunion perhaps even bringing inexpensive gifts (such as their favorite candy bar) to share. You may even ask some family members to share what they learned about their reunion buddy. The idea behind “Reunion Buddies” is to make long lasting friendships between cousins, aunts and uncles and grandparents. Get a new buddy every year! 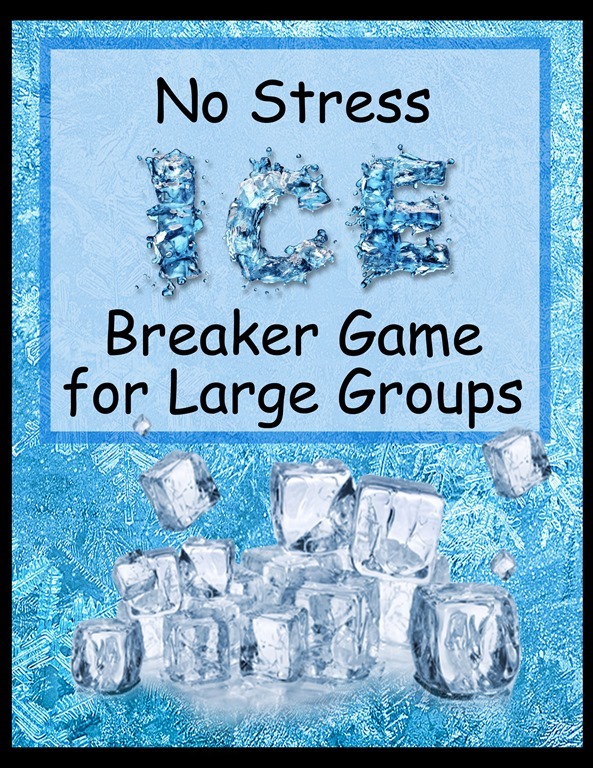 This is a fun idea for an ice breaker game for your next family reunion or family party. It is even a fun idea for a work, school or church function. Divide into groups of about 10. The groups work together to determine the total amount of points they have earned. Each team will need a team captain and recorder. You can make up your own list of points but here are a few ideas to get you started. 1. Counting January as one point, February as two points and so on, add up the total points of your group. 2. Score one point for each college attended. 3. Score one point for every button on each shirt. 4. Total number of pennies teammates have in their pockets. 5. Total of all sizes added together- one shoe only per person. 7. Five points for everyone that is wearing glasses, 2 points for contacts. 8. One point for every child each person has, twins- 5 points, triplets- 10 points. 9. Minus 1 point for every soda or pop consumed. Plus 1 point for every glass or bottle of water. 10. 1 point for everyone that is wearing a watch. Add up the total of points each team has and award prizes to the team that has the “most” points, “least” points, “most unorganized” etc. 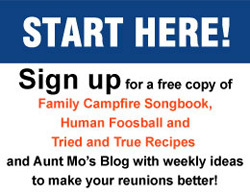 An effective way to jumpstart your family reunion is with an activity that family members can participate in independently when they arrive at the reunion and are settling in. There is that awkward time when family arrives at the reunion and everyone is getting reacquainted. Experience has proven that if there is a low key activity planned it will encourage family members to mingle and get comfortable with each other again. A pre reunion activity also keeps younger family members busy and engaged while their parents are visiting and settled in. Bead lizards or Geckos are the perfect solution. Collect a supply of different colored pony beads and some satin cording and let your family create their own Geckos. 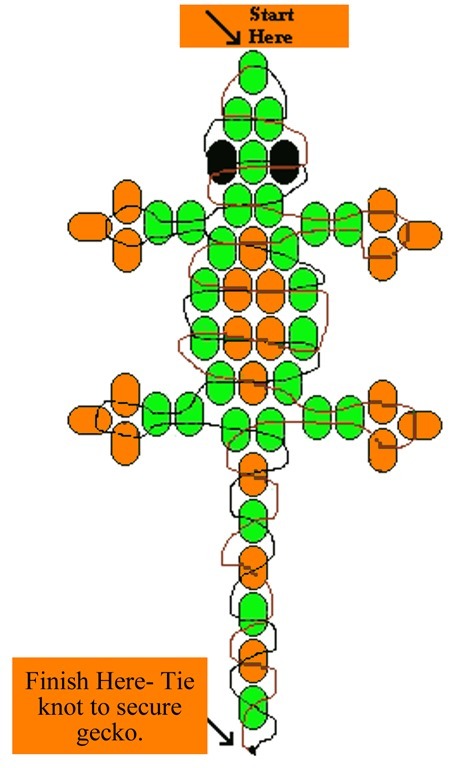 They say a picture is worth a thousand words so I really recommend watching the following video to get some great instructions for making your bead Gecko. The great thing is, if you download the video to your tablet, the video will be available to your guests and you won’t spend so much time trying to give instructions as you’re registering your family members and getting them situated- they’ll be able to watch the video! The video lasts less than 2 minutes and it’s actually quite entertaining.